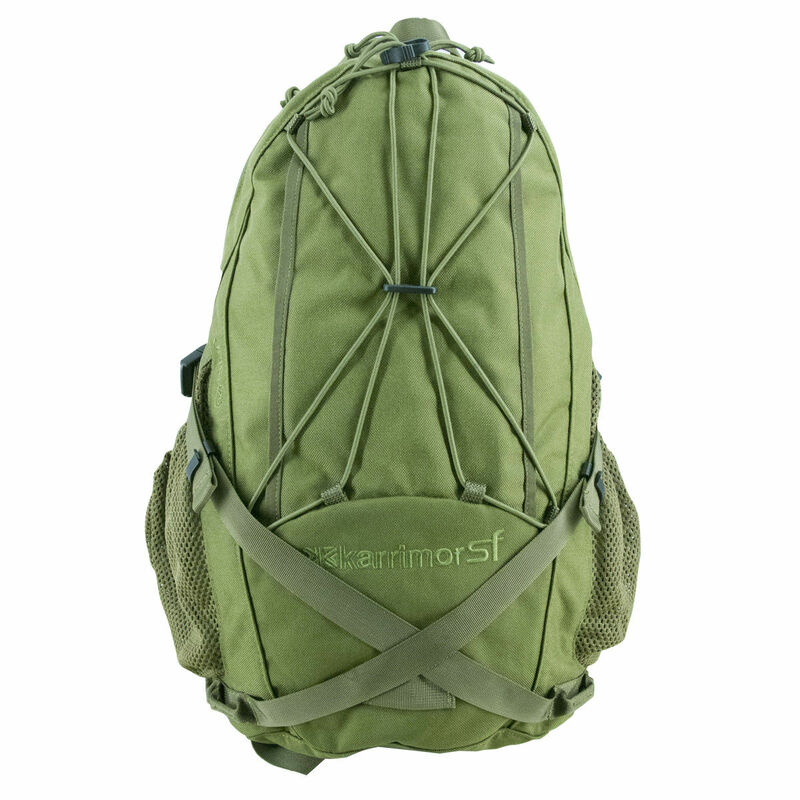 The Karrimor SF Sabre Delta 25 litre Rucksack is a detailed and durable daysack from the reliable Karrimor SF range, with a volume of 25 litres. 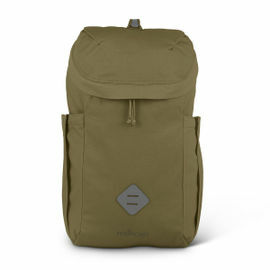 Made to the same high standards as their best-selling Sabre 45 rucksack, the Delta 25 is perfect for shorter trips outdoors and will not let you down. The majority of the pack is made from a 1000 Denier Nylon, coated with a Silicone PU elastomer for improved tear strength and flex resistance. 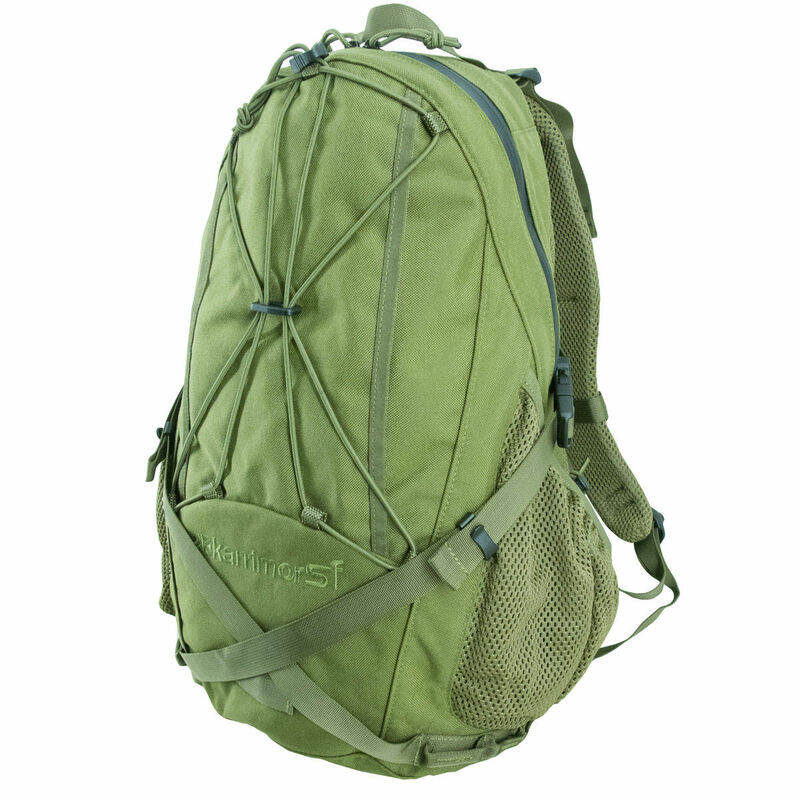 As such, you can feel confident when moving through dense woods that this pack will hold up to the expected wear and tear. 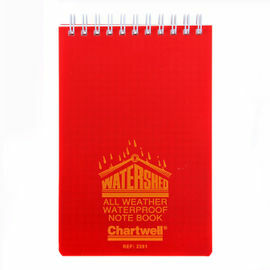 A final application of a fluorocarbon durable water repellent (DWR) improves the water resistance of the fabric. Despite the smaller size of the Delta 25, it is still packed with many of the useful features you'll find on larger rucksacks. A sternum strap, waist strap and ergonomically shaped shoulder straps all help to provide an adjustable, comfortable fit. With the Coolmesh windtunnel back system, the Delta 25 allows moisture to evaporate and be carried away from your back for use in warmer climates. 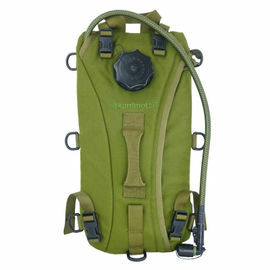 An internal sleeve and top-opening zip allows the use of a hydration system if needed, while an ice axe holder is fitted to the outside. Two elasticated mesh side pockets allow quick access to often needed items such as water bottles, while two slim, zipped pockets provide storage for valuables and maps, respectively. 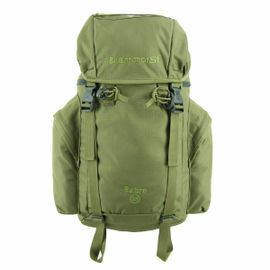 Karrimor SF Sabre Delta 25 Litre Rucksack - Olive Green is rated 5/5 based on 5 customer reviews. Purchased this as a direct result of a mail shot advising this was on offer. At the time, I was looking for a 'daysack', so something around 25-30L and had purchased a Berghaus Munro (my first Berghaus sack). I had a bit of an issue with it - specifically my build/waistline - meaning I had to make an extension strap. 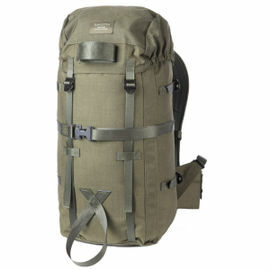 I have long been a fan of the Karrimor SF rucksacks, I have the 30/35/45(+side pockets) and just find they fit me well and wouldn't hesitate to recommend them to anyone. What I wanted was something for day/short trips (bimbling around in the woods) that I could chuck waterproofs in, gloves, first aid kit, water bottle(s), knife, saw and 'bits and bobs' without being tempted to overdo it. There's a solo tarp in there too, this fits the bill superbly. The lack of pockets is a blessing in disguise for this sort of usage, I'd sooner just have things stored in a single space, relying on the order of placing things inside in order of 'likely to use'. 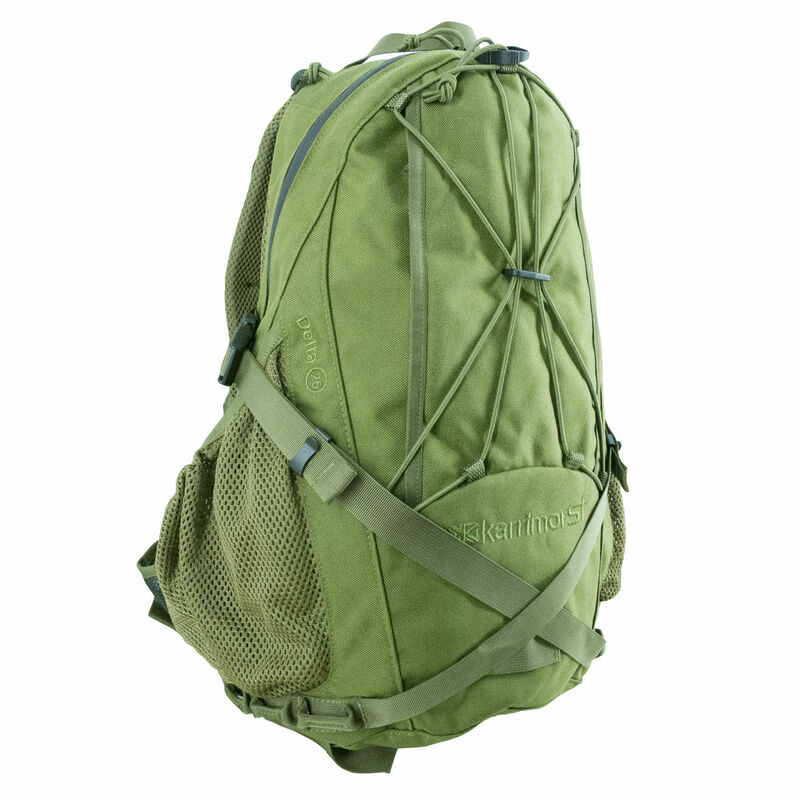 The compression straps work extremely well and the padding on the sack ensures great airflow around your back. 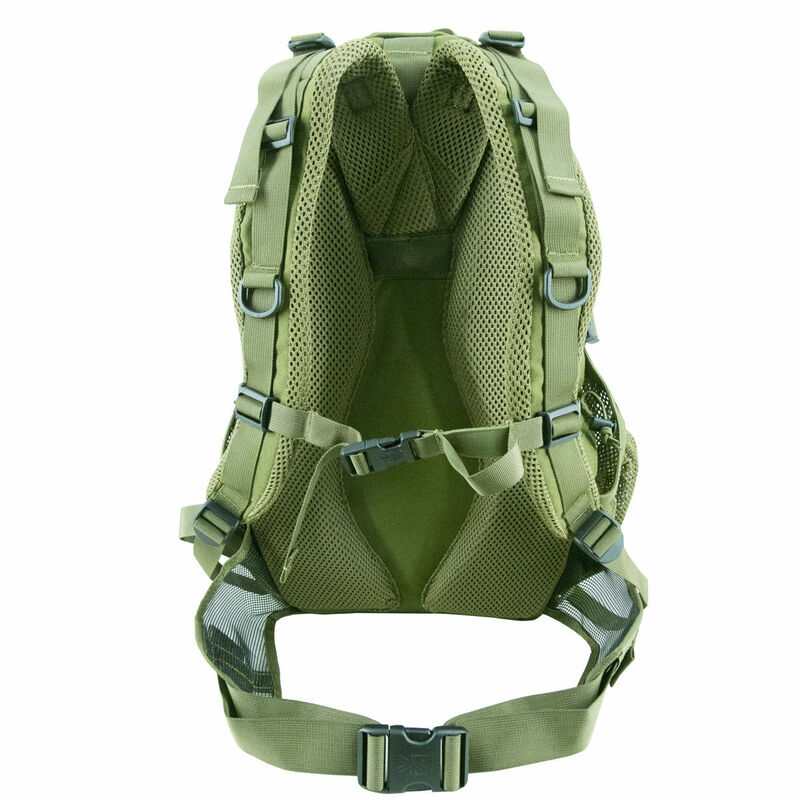 As with the other Karrimor SF sacks, the shoulder straps are very comfortable and have a very useful range of adjustment, likewise, the waist strap is very accommodating and it is a very quick and simple task to pull the straps up and get a secure pack which doesn't move around. Several good length walks in the snow last week with various load weights (up to around 10kg (remember it's a daypack for me !) I didn't have any aches/pains or rubbing points (over a fairly lightweight Ridgeline jacket) I can't comment on the waterproof qualities since I use drybags as a matter of course (for organisation as much as anything). Highly recommended for daypack use, and I'm sure more serious users could go further. Great rucksack. Fits nice on me, although I'm 1,98m in height. Very well made from good quality materials. All my rucksacks are Karrimor. I have the 75, 45, 35 and now the 25 litre, really well made and good comfortable fit, I would recommend Karrimor every time. At first I bought a cheap imitation from ebay thinking I could save myself some money, how wrong I was, it was very poor quality. I bought this product and was so pleased with it. 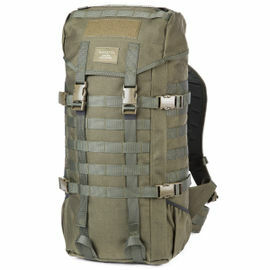 I use it all the time now and it is perfect as a small tactical rucksack. very good design! Excellent day rucksack. Perfect size, good natural colour to blend in with the great outdoors. 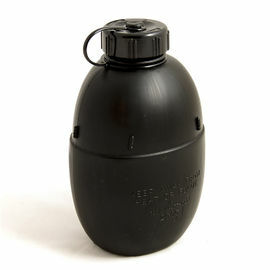 Would give it 5 stars if it had a larger zipped exterior pocket for larger items such as a bottle or torch.